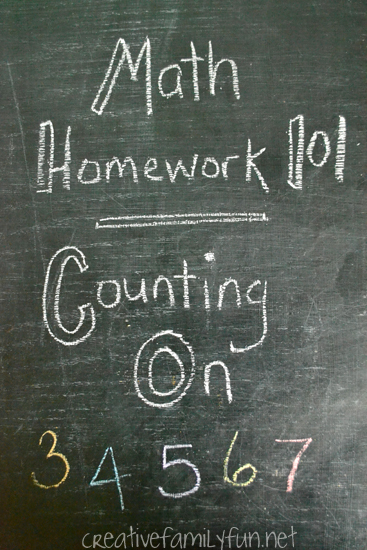 You are here: Home / Learning Activities / Math / Math Homework 101: What Is Counting On? Math Homework 101: What Is Counting On? Counting on is an essential skill that your kids will start working on in kindergarten (or even earlier)! It’s not a difficult skill, but it is a crucial skill that sets the stage for addition and subtraction. What is counting on? Simply put, it’s the act of counting forward starting at a number other than 1. So yes, it’s important and yes, your kindergartner will be working on it this year. It’s so simple to practice the concept of counting on at home. You don’t need special worksheets, tools, or even a formal learning time. Practice on a walk or when you’re driving the kids home for school. 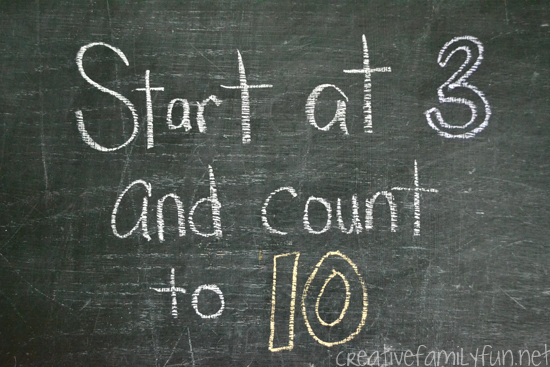 All is takes is a question: Can you start at 3 and count to 10? If they’re still learning the concept, count with them. Pretty soon, with practice, they’ll be able to do it on their own. Have them start at 5 or 6 or 7. Have they mastered the smaller numbers? Start at 22 and count to 30. Or start at 46 and count to 52. You get the idea. How does this relate to addition and subtraction? To find the answer, you can start at three and count two more to get the answer, five. 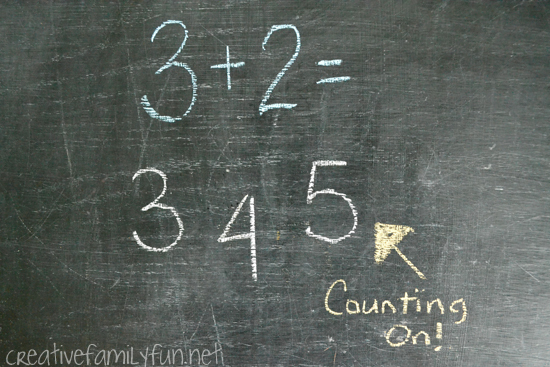 Counting on can help your child solve simple addition problems. And subtraction? Take the problem 7 – 5. Start counting at five and go up to seven. How many times did you count? Yep, two. See how that works. Just remember that the kids using counting on just learned to count not too long ago. This is an extension of counting and a link in the chain. Each link your child can master will lead to a strong chain of math skills. It’s an introduction to the skills used in addition and subtraction. Chances are, you learned this too, you just didn’t know the formal term. It’s simple. It’s basic. But, it’s powerful. I’ve worked with kids who were falling behind in math in later grades and noticed that some of the kids who were struggling with addition and subtraction had never mastered counting on. We had to backtrack and work on that skill. Once they were more confident with counting on, their addition and subtraction skills improved. It really does help. So, now we know that answer to the question: what is counting on? It’s so simple and so much fun to practice. Have you caught all the Math Homework 101 posts? Click here to see all the previous posts all written to help you help your kids with their math homework.